In previous posts you have seen how variable values are assigned and in this text I will look at Variant data type, basic arithmetic as well as some other operations that we can use to calculate desired expressions. I think it will be especially helpful for you to find out how to set the fixed length strings, and how to merge more of them into one. Variant is a universal data type. 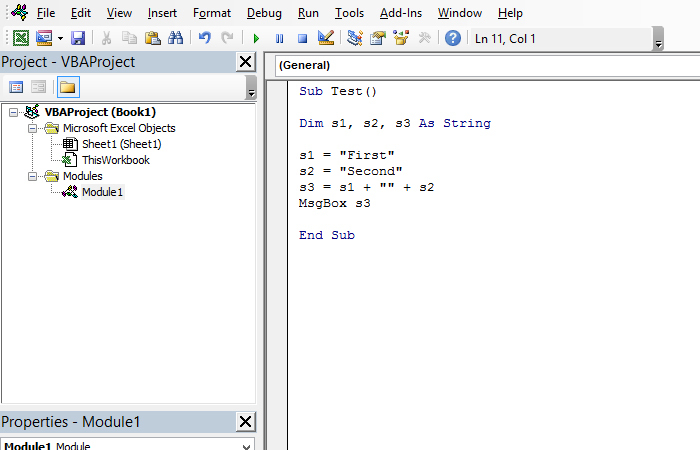 VBA uses it every time you declare a variable or declare it without determining the type. It is used as a temporary solution while you are developing code, and you are not sure which type of data you will use. Although your programs will work without a type declaration, it’s always up to you to do it-so you save your memory and your code is more understandable!